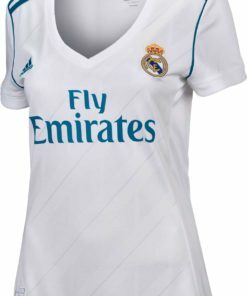 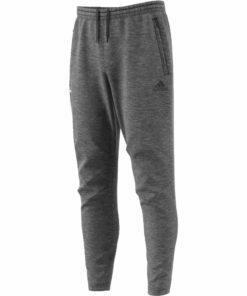 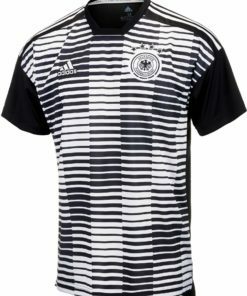 The 2017/18 adidas Womens Real Madrid Home Jersey is different but just as great as last year’s. 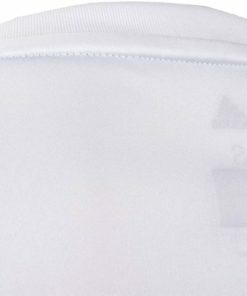 Last year had purple accents and now this year they are using a Vivid Teal color, which looks awesome on the white home jerseys. 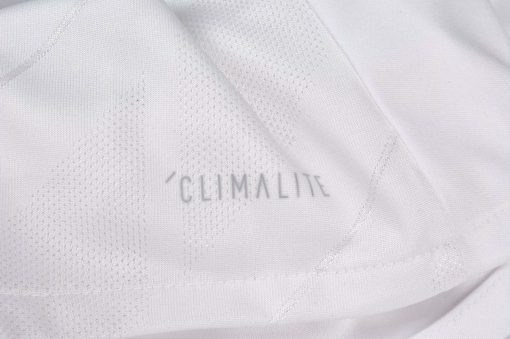 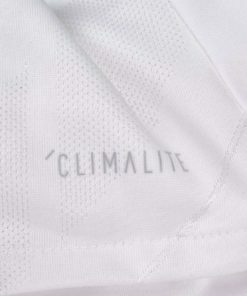 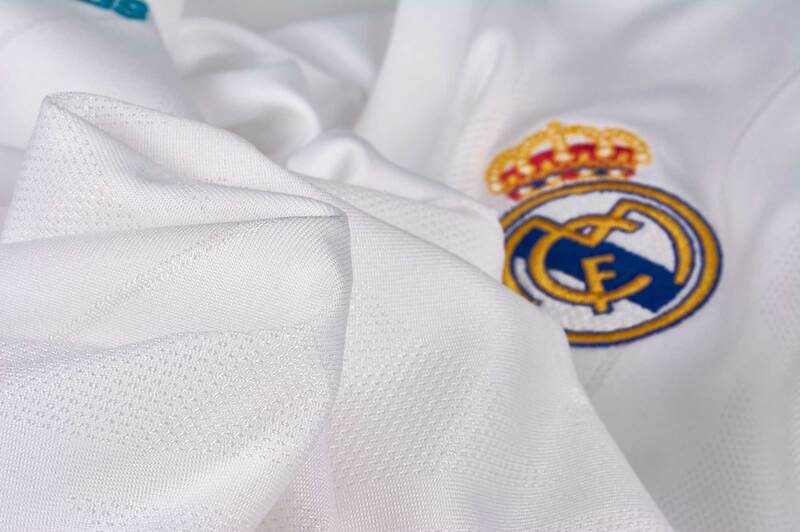 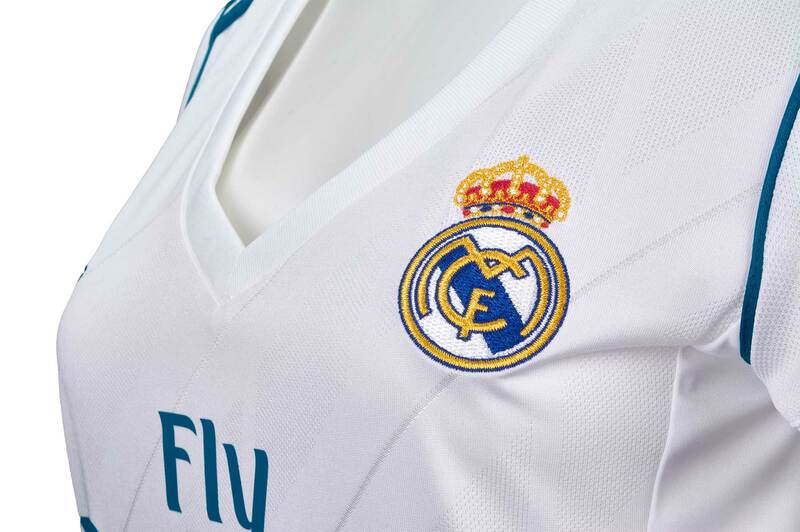 The jerseys are classic but will look great on the players of Real Madrid on their home turf this upcoming season. 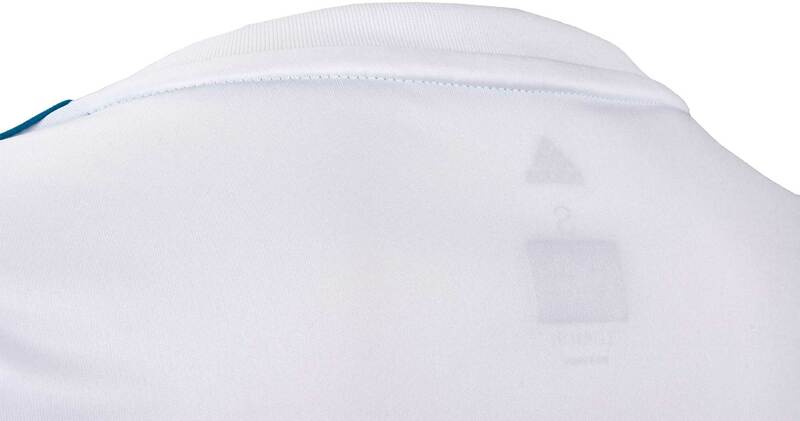 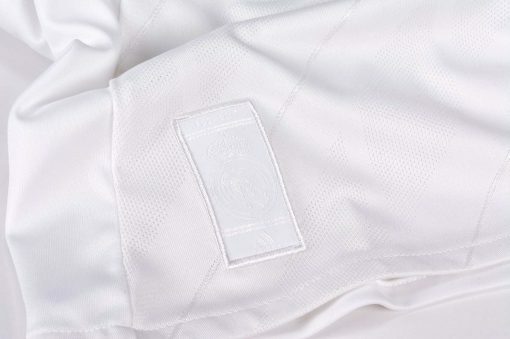 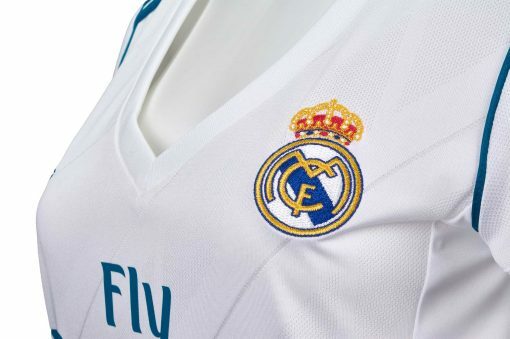 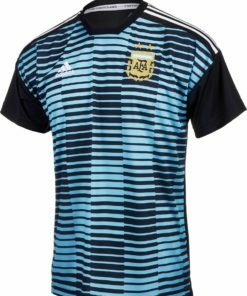 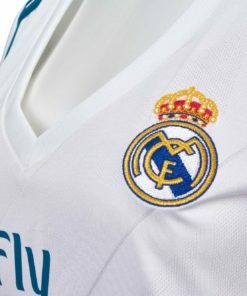 The jerseys are complete with the Real Madrid crowned crest on the left side of the chest, to show the true royalty of the club. 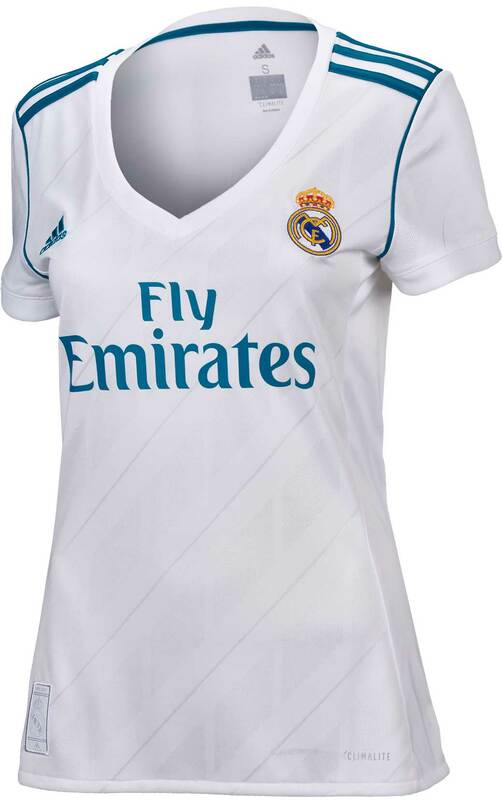 Order your home jersey today! 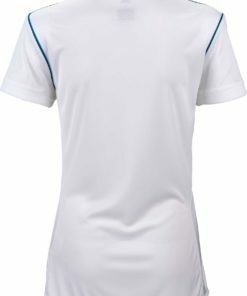 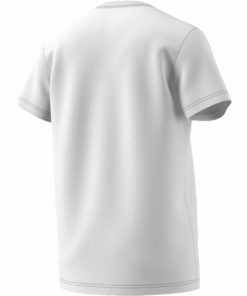 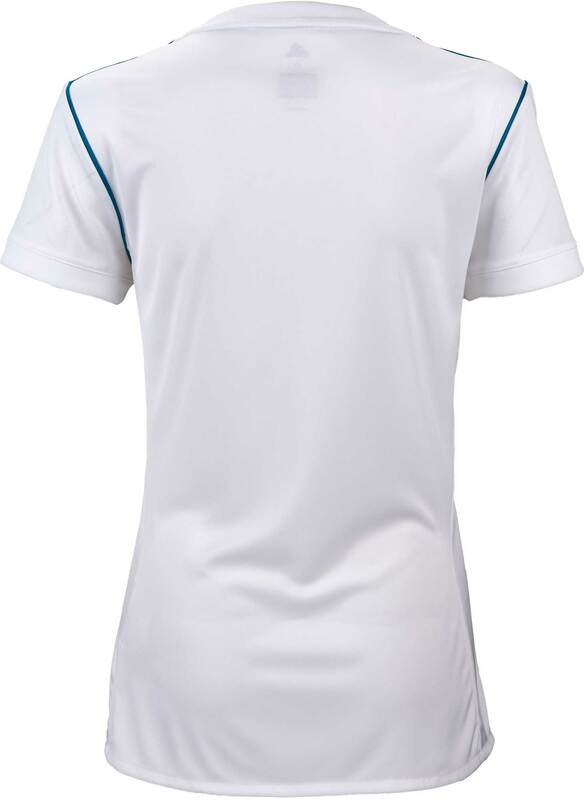 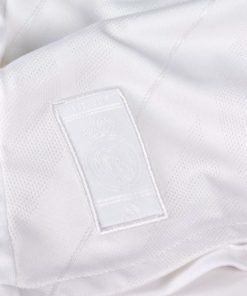 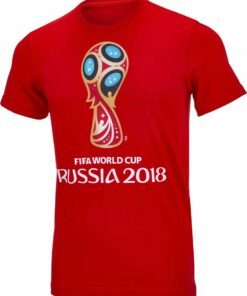 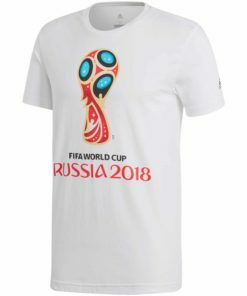 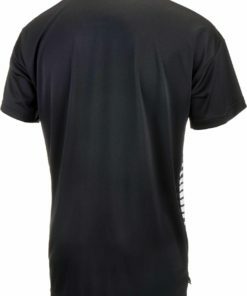 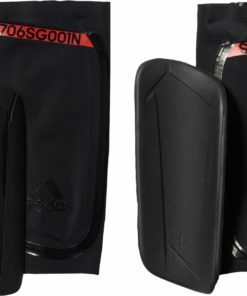 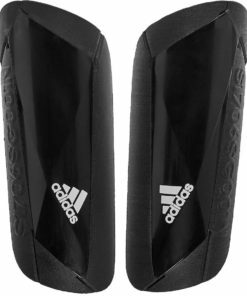 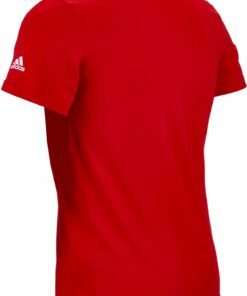 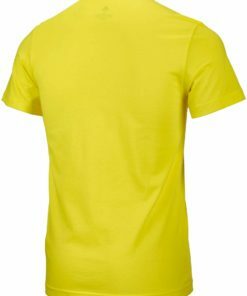 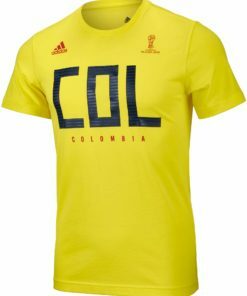 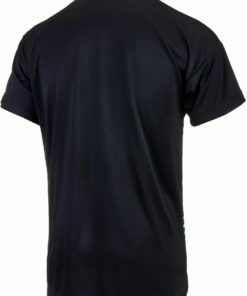 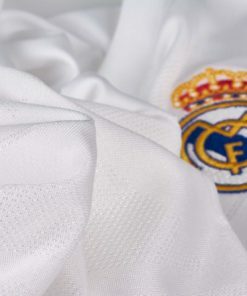 Take a look at our complete selection of Real Madrid Jerseys at SoccerMaster.com!